Last week you may have spotted on my Instagram or Twitter feeds that I had headed for a colder climate for the day. No, not the Alps this time, but my local indoor snow centre, Chill Factore. I was invited down to a media day to promote Snowsport England’s campaign GO SKI GO BOARD alongside their destination partner, Tirol Tourist Board, and supported by This Girl Can. I’ve praised the This Girl Can campaign before on here and also shared my top snowboarding tips for beginners, so it was a real pleasure to get involved. 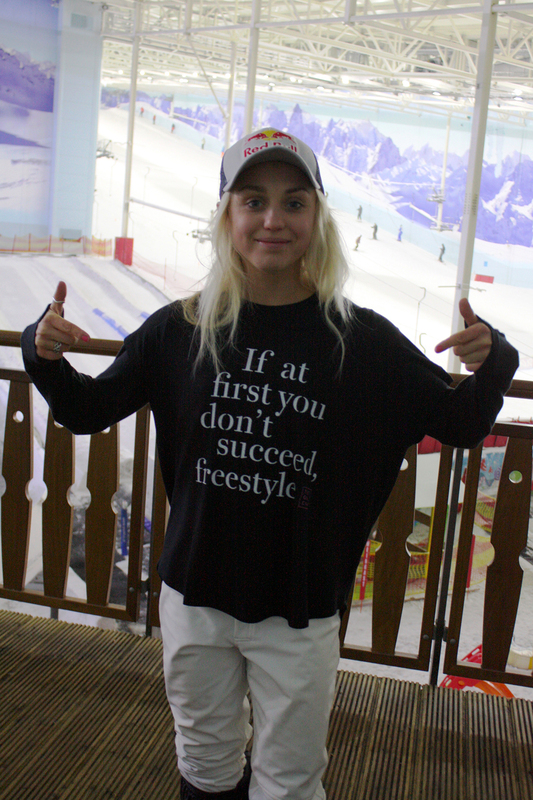 British snowboarding Olympian Aimee Fuller (aka my snowboarding idol!) 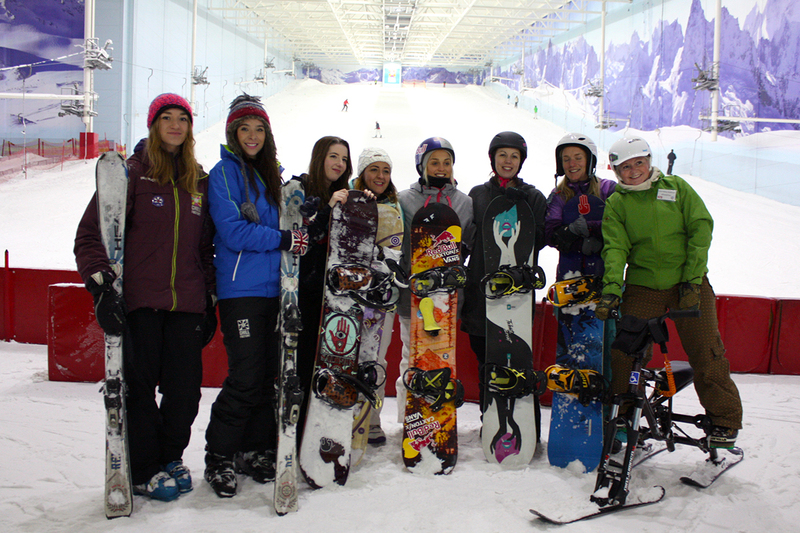 joined us for a day of learning and improving our snowsports skills at Chill Factore’s ‘ladies only’ morning. I was joined on the slope by girls of all ages and abilities, including one of my bezzies, where we chatted, shared tips and had such a good laugh. One of the most special parts of this event, besides meeting Aimee who was hugely inspirational and friendly to us all, was chatting to the other women on the slopes and hearing their experiences of learning to ski or snowboard. A girl who quickly caught my eye on the slopes was Sarah Plant, who is in her twenties and currently studying physiotherapy at post-grad level. Sarah was confidently making her way down the slope, even mastering riding switch (basically the opposite way you usually snowboard and similar to trying to write with the ‘wrong’ hand), and you could see the passion she had for the sport after just one year of learning. We didn’t know each other before the event but she was the loveliest, friendliest girl to talk to. It’s girls like Sarah that make Ladies Only sessions so much more beneficial for learner, beginner or nervous snowboarders/skiers. 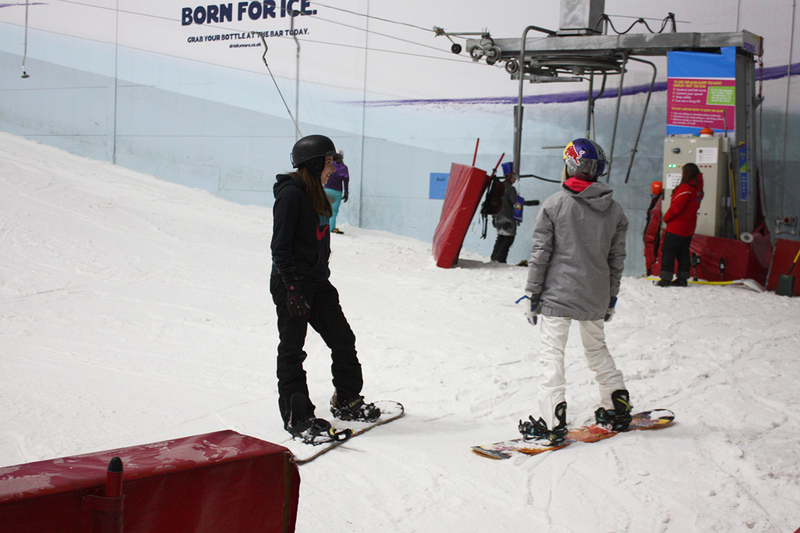 Even if you learn to ski/snowboard alone, everyone at Chill Factore always seems super friendly and happy to share their tips with you. Another lady I met on the day was Hilary Austin, who proudly puts herself in the “seniors category” when it comes to skiers. 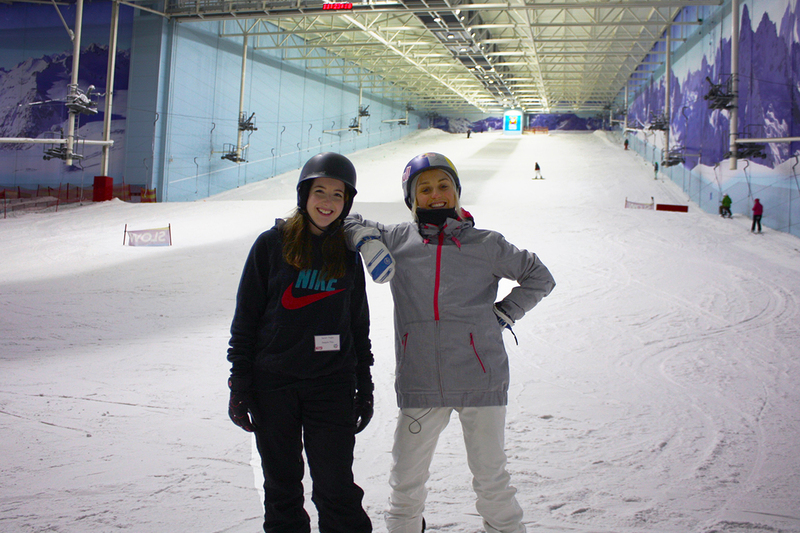 Hilary only started learning in August last year, but she absolutely loved the thrill of skiing and now heads down to Chill Factore twice a week, despite living up in the Lake District. Her husband has absolutely no interest in skiing, her friends are now unable to join in with her due to health-related factors but Hilary doesn’t let that stop her at all. She told me that she’s aiming to head on four ski trips every year until she’s no longer able to go. That’s dedication! As a lady well past retirement, she left me with the words “if I can do it, anyone can!”. How do I get into snowsports? Aimee Fuller is one of the ambassadors for the GO SKI GO BOARD initiative by Snowsport England and they’re currently running a campaign called 30 Days of Snowsport to help get people on the slopes in time for the winter ski/snowboarding season. Whether you’ve booked a ski holiday, are looking to book one or just want to try out a new sport (trust me, it’s so much fun), there are loads of events happening across the UK to celebrate #30DaysofSnowsport. Head to the GO SKI GO BOARD website and simply input your postcode to find an event near you. And if you need any holiday inspiration, make sure to check out Austria’s finest ski resorts in Tirol. They host amazing events like Snowbombing, which is a music festival with huge headliners (The Prodigy are playing next year!) in Mayrhofen ski resort. Booking a holiday is also a great motivation for learning or mastering your skiing/snowboarding! Have you ever tried or wanted to try skiing or snowboarding before?